One of the most important and cherished books in the Old Testament, Isaiah contains a message of vibrant spirituality. It reveals an exalted view of God and speaks in soaring poetry of joy and hope in the kingdom. 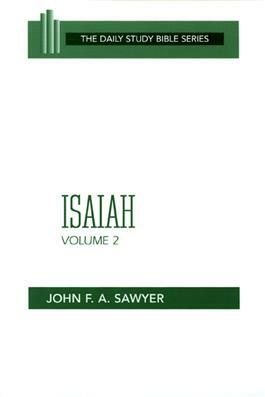 Throughout his two-volume commentary, John F. A. Sawyer seeks to present the meaning of the text of the book of Isaiah with compelling clarity and, at the same time, lead the reader to a deeper understanding of familiar passages.